The purpose of this study was to determine the effectiveness of behavioral counseling using assertive technique to minimize the juvenile delinquency of students. This research is an experimental research design. The study population was the eighth grade students in South Solok West Sumatra consist of 82 students using Random Sampling. Data collection methods that used in this study were a questionnaire method. Data were analyzed by t-test with SPSS 20.0 for Windows. The results showed that there are significant differences between the groups which have deviant behavior who take behavioral counseling session with a group of students who do not follow the behavioral counseling session. It could be seen from a group of students who take behavioral counseling session (133.17) compare with a group of students who do not follow behavioral counseling session (85.32), and from the analysis of t with df = 82 and 1% significance level (t = 0.053, p <0.01). So the application of behavioral counseling Training assertive techniques to minimize misbehavior is effective to reduce the juvenile delinquency of students. Abbott, A. (2017). Indonesian Identity and Cultural Values. In Educational Sovereignty and Transnational Exchanges in Post-Secondary Indonesian Education (pp. 135–161). Springer. Allen, K. R., & Bradley, L. (2015). Career Counseling With Juvenile Offenders: Effects on Self‐Efficacy and Career Maturity. Journal of Addictions & Offender Counseling, 36(1), 28–42. Ardi, Z. (2014). Cita-cita Perkerjaan dan Pilihan Peminatan Siswa Sekolah Menengah Atas Negeri di Sumatera Barat. Ardi, Z., & Erlamsyah, E. (2017). Peningkatan Kualitas Penulisan Artikel Ilmiah bagi Kepala Sekolah. Jurnal Aplikasi IPTEK Indonesia, 1(1), 25–34. Ardi, Z., & Maizura, N. (2018). The Psychological Analysis of Divorce at Early Marriage. International Journal of Research in Counseling and Education, 1(3), 27–32. Ardi, Z., & Sukmawati, I. (2017). Social Media and the Quality of Subjective Well-Being; Counseling Perspective in Digital Era. Open Science Framework. October. Ardi, Z., & Yendi, F. M. (2013). Konseling Online: Sebuah Pendekatan Teknologi Dalam Pelayanan Konseling. Jurnal Konseling Dan Pendidikan, 1(1), 1–5. Ardi, Z., Ibrahim, Y., & Said, A. (2012). Capaian Tugas Perkembangan Sosial Siswa dengan Kelompok Teman Sebaya dan Implikasinya terhadap Program Pelayanan Bimbingan dan Konseling. Konselor, 1(2). Ardi, Z., Putra, M. R. M., & Ifdil, I. (2017). Ethics And Legal Issues In Online Counseling Services: Counseling Principles Analysis. Jurnal Psikologi Pendidikan Dan Konseling: Jurnal Kajian Psikologi Pendidikan Dan Bimbingan Konseling, 15–22. Ardi, Z., Viola, K., & Sukmawati, I. (2018). An Analysis of Internet Abuses Impact on Children’s Moral Development. 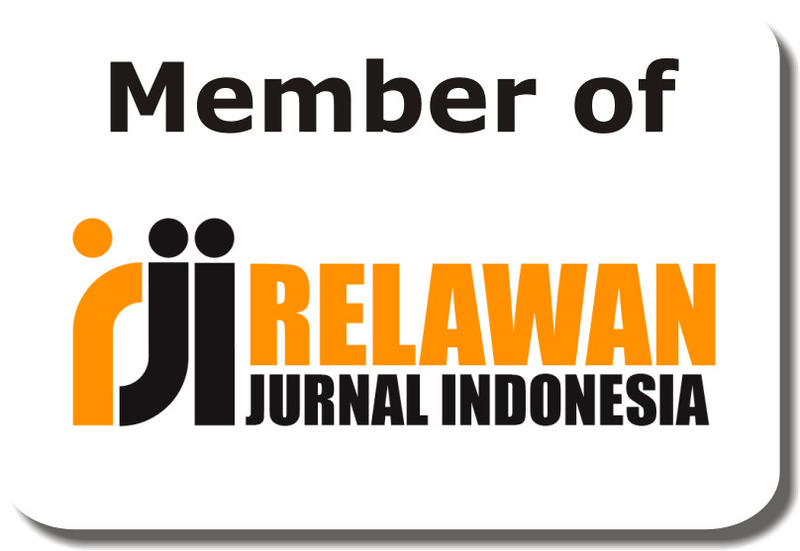 JPPI (Jurnal Penelitian Pendidikan Indonesia), 4(1), 44–50. Ardi, Z., Yendi, F. M., & Ifdil, I. (2013). Konseling Online: Sebuah Pendekatan Teknologi Dalam Pelayanan Konseling. Jurnal Konseling Dan Pendidikan, 1(1), 1–5. Bishop, S. A., Okagbue, H. I., Oludayo, O. A., Agboola, O. O., Agarana, M. C., & Adamu, M. O. (2018). Survey dataset on the types, prevalence and causes of deviant behavior among secondary school adolescents in some selected schools in Benin City, Edo State, Nigeria. Data in Brief. Boket, E. G., Bahrami, M., Kolyaie, L., & Hosseini, S. A. (2016). The effect of assertiveness skills training on reduction of verbal victimization of high school students. International Journal of Humanities and Cultural Studies (IJHCS) ISSN 2356-5926, 3(2). Chen, M., & Giblin, N. J. (2017). Individual Counseling and Therapy: Skills and Techniques. Routledge. Conrad, P. (2017). Identifying Behavior as Deviant and Defining Deviance as a Medical Problem: Audience Reactions to Children’s Behavior. In Identifying Hyperactive Children (pp. 33–50). Routledge. Daharnis, D., & Ardi, Z. (2016). The Compatibility Student Choice of University Majoring; A Preliminary Studies. GUIDENA: Jurnal Ilmu Pendidikan, Psikologi, Bimbingan Dan Konseling, 6(1), 101–109. Daharnis, D., & Ardi, Z. (2017). Optimizing the Counselors’ Role in Senior High School and Higher Education. Daharnis, D., Ardi, Z., & Ifdil, I. (2018). The Improved of Counselor Competencies through Scientific Article Writing Training Using Digital Citation Application. Jurnal Konseling Dan Pendidikan, 6(1), 8. Dantes, N., Susanta, I. W., & Suarni, N. K. (2017). The Impact of Cognitive and Emotive Techniques in Rational Emotive Behavioural Therapy Counseling on Aggressive Behavior Tendencies Based on Personality Types among Students of Public Junior High School 4, Denpasar, Bali. The Social Sciences, 12(11), 2123–2127. de Vries, S. L. A., Hoeve, M., Assink, M., Stams, G. J. J. M., & Asscher, J. J. (2015). Practitioner review: effective ingredients of prevention programs for youth at risk of persistent juvenile delinquency–recommendations for clinical practice. Journal of Child Psychology and Psychiatry, 56(2), 108–121. Dehnavi, F., & Ebrahimi, M. I. (2016). Effect of Assertiveness Skills Training on the Level of Aggression in High School First Grade Female Students in Qorveh City. International Journal of Humanities and Cultural Studies (IJHCS) ISSN 2356-5926, 1421–1434. Estriyanto, Y., Kersten, S., Pardjono, P., & Sofyan, H. (2017). The Missing Productive Vocational High School Teacher Competency Standard in the Indonesian Education System. Journal of Technical Education and Training, 9(1). Grinstein, A., & Kronrod, A. (2016). Does sparing the rod spoil the child? How praising, scolding, and an assertive tone can encourage desired behaviors. Journal of Marketing Research, 53(3), 433–441. Gummadam, P., Pittman, L. D., & Ioffe, M. (2016). School belonging, ethnic identity, and psychological adjustment among ethnic minority college students. The Journal of Experimental Education, 84(2), 289–306. Hawkins, J. D., & Weis, J. G. (2017). The social development model: An integrated approach to delinquency prevention. In Developmental and Life-course Criminological Theories (pp. 3–27). Routledge. Hoffmann, J. P., & Dufur, M. J. (2018). Family Social Capital, Family Social Bonds, and Juvenile Delinquency. American Behavioral Scientist, 0002764218787020. Ifdil, I., & Ardi, Z. (2013). Konseling Online Sebagai Salah Satu Bentuk Pelayanan E-konseling. Jurnal Konseling Dan Pendidikan, 1(1), 15–22. Jang, H., Kim, E. J., & Reeve, J. (2016). Why students become more engaged or more disengaged during the semester: A self-determination theory dual-process model. Learning and Instruction, 43, 27–38. Keliat, B. A., Tololiu, T. A., Daulima, N. H. C., & Erawati, E. (2015). Effectiveness assertive training of bullying prevention among adolescents in west java Indonesia. International Journal of Nursing, 2(1), 128–134. Mazur, J. E. (2016). Learning & behavior. Routledge. Moffitt, T. E. (2017). Adolescence-limited and life-course-persistent antisocial behavior: A developmental taxonomy. In Biosocial Theories of Crime (pp. 69–96). Routledge. Organization, W. H. (2016). Global strategy on human resources for health: workforce 2030. Osgood, D. W., Wilson, J. K., O’malley, P. M., Bachman, J. G., & Johnston, L. D. (2017). Routine activities and individual deviant behavior. In Crime Opportunity Theories (pp. 49–69). Routledge. Parray, W. M., & Kumar, S. (2017). Impact of assertiveness training on the level of assertiveness, self-esteem, stress, psychological well-being and academic achievement of adolescents. Indian Journal of Health and Wellbeing, 8(12), 1476–1480. Patterson, G. R., DeBaryshe, B. D., & Ramsey, E. (2017). A developmental perspective on antisocial behavior. In Developmental and Life-course Criminological Theories (pp. 29–35). Routledge. Plantz, M. C., & Garbarino, J. (2017). Child abuse and juvenile delinquency: What are the links? In Troubled youth, troubled families (pp. 27–40). Routledge. Puri, A., & Luqman, N. (2015). Assertiveness as a road to mental well being: case study of an adolescent. International Journal of Multidisciplinary and Current Research, 3, 73–75. Rani, S., Chandran, S., & Singal, A. (2016). A Quasi Experimental Study to assess the Effectiveness of Assertiveness Training on Assertive Behaviour and Self Esteem among Adolescent Girls in Selected Government Schools of Panipat, Haryana, 2015. International Journal of Psychiatric Nursing, 2(2), 25–31. Restu, Y., Yusri, Y., & Ardi, Z. (2013). Studi Tentang Perilaku Agresif Siswa di Sekolah. Konselor, 2(1). Schry, A. R., & White, S. W. (2016). Social anxiety and resistance techniques in risky sexual scenarios: A possible mechanism of increased risk of victimization. Personality and Individual Differences, 88, 242–246. Simmons, C., Steinberg, L., Frick, P. J., & Cauffman, E. (2018). The differential influence of absent and harsh fathers on juvenile delinquency. Journal of Adolescence, 62, 9–17. Speed, B. C., Goldstein, B. L., & Goldfried, M. R. (2018). Assertiveness training: A forgotten evidence‐based treatment. Clinical Psychology: Science and Practice, 25(1), e12216. Sue, D., Sue, D. W., Sue, S., & Sue, D. M. (2015). Understanding abnormal behavior. Cengage Learning. Sweeney, J. C., Danaher, T. S., & McColl-Kennedy, J. R. (2015). Customer effort in value cocreation activities: Improving quality of life and behavioral intentions of health care customers. Journal of Service Research, 18(3), 318–335. Syahniar, S., Ifdil, I., Afdal, A., & Ardi, Z. (2018). The Responsibility of Counselor and Education in Millennium Era. Sykes, G. M., & Matza, D. (2017). Juvenile delinquency and subterranean values. In Cultural Criminology (pp. 3–10). Routledge. Tandoc, E. C., Ferrucci, P., & Duffy, M. (2015). Facebook use, envy, and depression among college students: Is facebooking depressing? Computers in Human Behavior, 43, 139–146. Tennant, J. E., Demaray, M. K., Malecki, C. K., Terry, M. N., Clary, M., & Elzinga, N. (2015). Students’ ratings of teacher support and academic and social–emotional well-being. School Psychology Quarterly, 30(4), 494. Valverde, M. E., Hernández-Pérez, T., & Paredes-López, O. (2015). Edible mushrooms: improving human health and promoting quality life. International Journal of Microbiology, 2015. Western, D. (2018). Conservation for the Twenty-first Century. Yanti, S., Erlamsyah, E., Zikra, Z., & Ardi, Z. (2013). Hubungan antara Kecemasan dalam Belajar dengan Motivasi Belajar Siswa. Konselor, 2(1). Yendi, F. M., Ardi, Z., & Ifdil, I. (2014). Counseling Services for Women in Marriage Age. Jurnal Konseling Dan Pendidikan, 2(3), 31–36.